Rare 14k gold checkerboard in pristine condition!!! Make me an offer! Email at villageauto@bellnet.ca. Ambassador and a very nice one at that. Beautiful watch have not seen this dial before though but i like it alot. So what's the difference between the Ambassador and the Everett? Both ads are dated 1952. 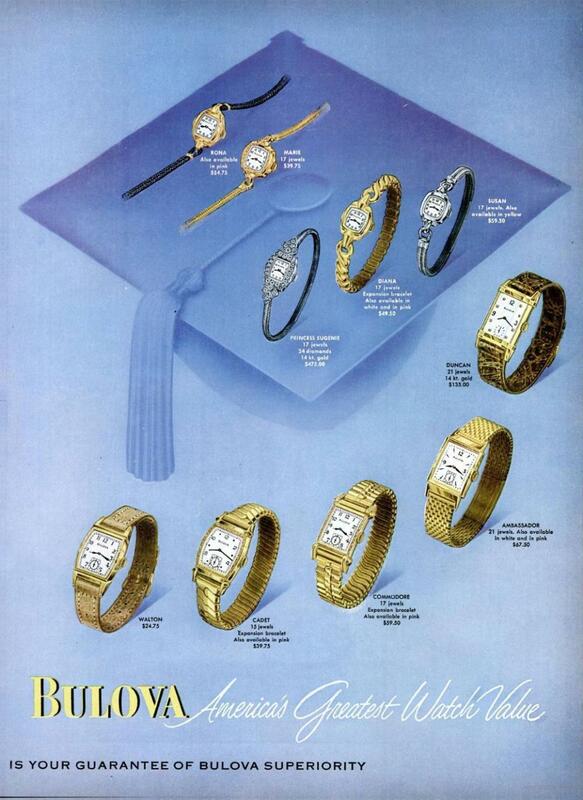 Then to complicate things, we have this 1949 ad showing the 21 jewel Ambassador as a completly different beast. 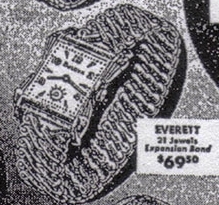 In rereading various period-close Ambassador examples in the database, I think the 3 Everett ads didn't show up until 1952. 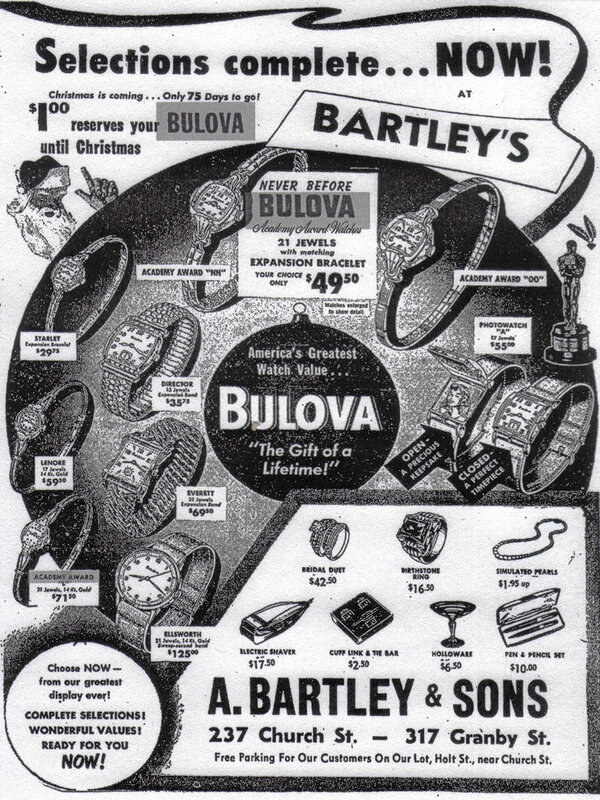 These 1953 ads show yet another name. I like the "Harlequin dial". I think that's what we ended up calling this dial type? 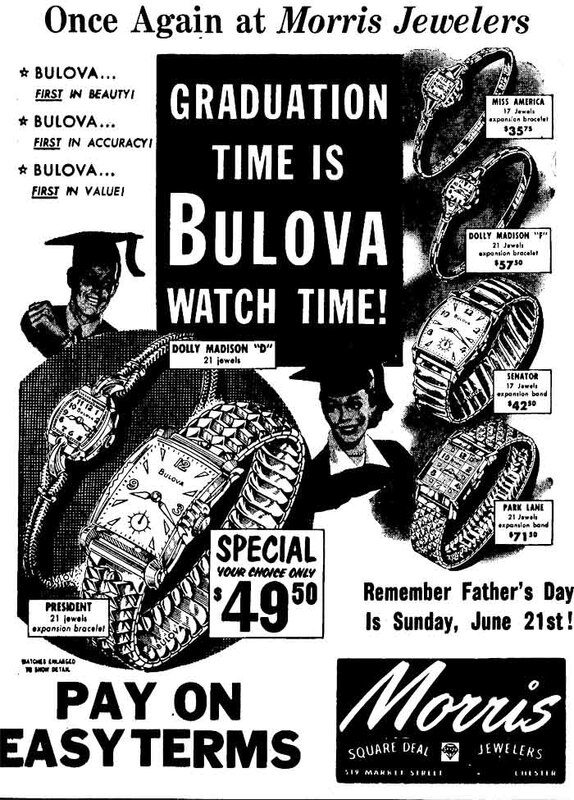 Chester, PA Times, June 4,1953 "Park Lane"
Thanks Will that's the advert I was looking for. I knew I'd seen it before in this configuration. Park Lane for me too. 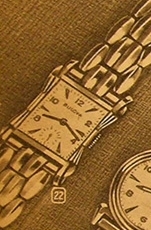 Piper, what's the date code on the back if the watch? Not the Park Lane, wrong case. This is either a redial or a marriage. Nice looking though. I stand corrected, the case is certainly different from that of the Park Lane. Yea I confused Admin with that ad. 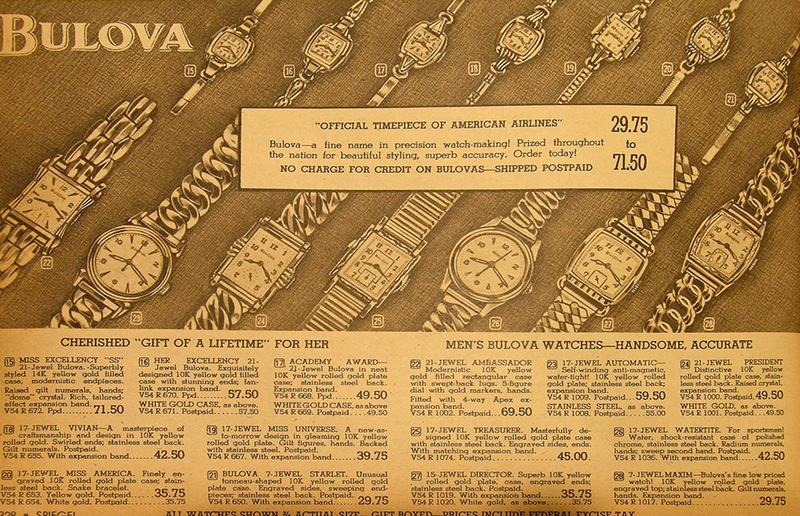 I was showing the dial configuration , as the case is different in ad from subject watch. still thinking through the other choices. Ambassador, Everette, and isn't there a similar 21 jewel named Gentry? . . . or some model name close to "Gantry"?